Do the products you own not do enough for your oily skin? Does makeup melt off your face? Is the US government trying to invade your pores because there's so much oil? If so, check out this skin care routine for oily skin! Hello, this is my face! A loyal member of my body for the last 24 years. Sure, it's oily every morning and sure, it always breaks out during my period, but let's face it, I'm not getting a new one anytime soon! This is the routine I swear by to keep it happy, healthy, and a little less acne-prone and oily! Here are all the products in my routine below! Clinique's Take The Day Off ($29.50 on Sephora). 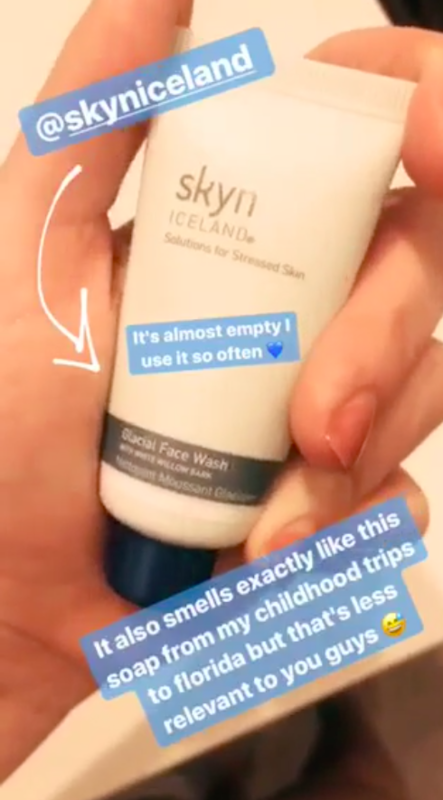 Skyn Iceland's Glacial Face Wash ($30 Amazon). Thayer's Witch Hazel Toner ($9.64 on Amazon). 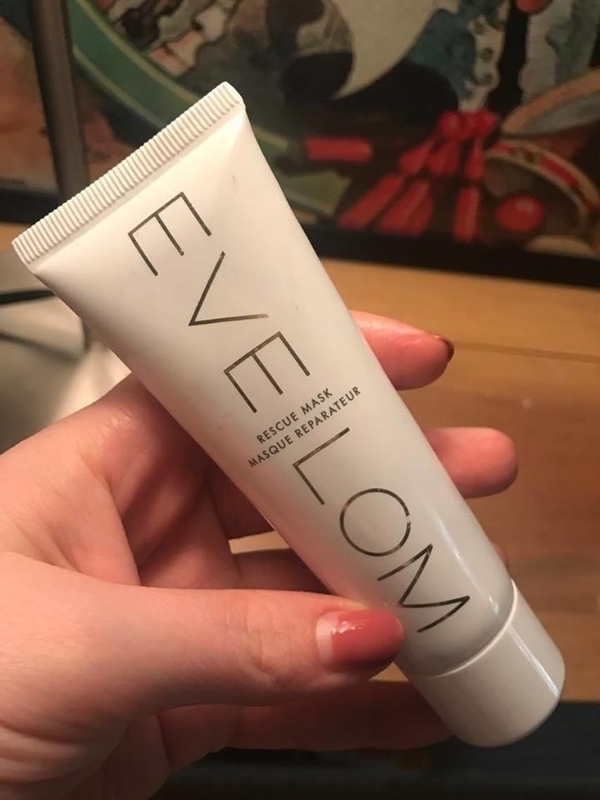 Eve Lom Rescue Mask ($50 on Sephora). Belif's Problem Solution ($28 on Sephora). Clarins Hydra-Essentiel Cream ($48 on Sephora). Step 1: I always remove my makeup. Every so often I like to reenact my favorite Disney movie while I'm at it! When will my reflection show who I am inside?...Well, here you go. How do I achieve such a state of perfection you ask? The makeup remover I use is Clinique's Take The Day Off and it works like a charm! Ok first things first, this product isn't oil-free. *screams because you're screaming* That might scare a lot of you who also struggle with oily skin issues BUT HEAR ME OUT. I find that the oil in this product breaks down my makeup quickly, and with the most gentle formula for my skin. AND sometimes our faces produce excess amounts of oil because we are lacking moisture (i.e oil). Weird, I know, but it's been working so far! Plus, once I cleanse my face, there is no excess oil left on my skin at all! It starts out thick when you scoop it out, but it quickly dissolves as you rub it into your skin. 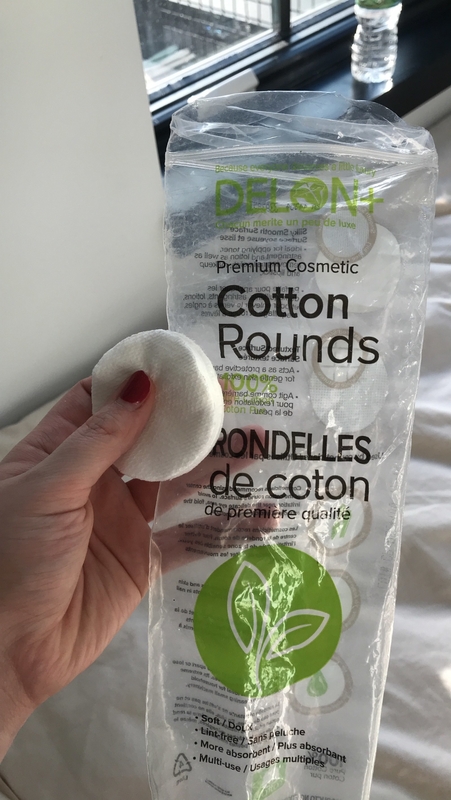 Overall I love it because it removes my makeup efficiently, it's non-drying, and as an added bonus, it has lasted me an entire year without running out! Get it from Sephora for $29.50. Step 2: I cleanse my face with Skyn Iceland's Glacial Face Wash because the cooling effects really keep my oil at bay. Cleansing is a super important step for me to ensure I get the dirt and excess oil out of my pores after a long day in the city. I keep my cleanser in the shower and use it then rather than on dry land—lol. Otherwise my sink and entire body will somehow get soaking wet after washing my face! I'm in love with Skyn Iceland's Glacial Face Wash because it removes the excess oils from my skin without leaving me super dry. It also has such a fresh, awakening feel to it. So I really love using it in the morning as a nice wake-me-up! The formula is super silky and it foams up a bit as you rub it into your skin which is fun and it makes me think something is happening ~scientifically~. Thanks science! Get a bottle from Amazon for $30. Step 3: Good morning to TONER and no one else. More specifically to Thayers Witch Hazel Toner, because if it ain't broke don't fix it! I tone quite a lot. Not my muscles, no. I tone my skin! I'll tone after the shower to get that bit of mascara under my eyes that won't budge. 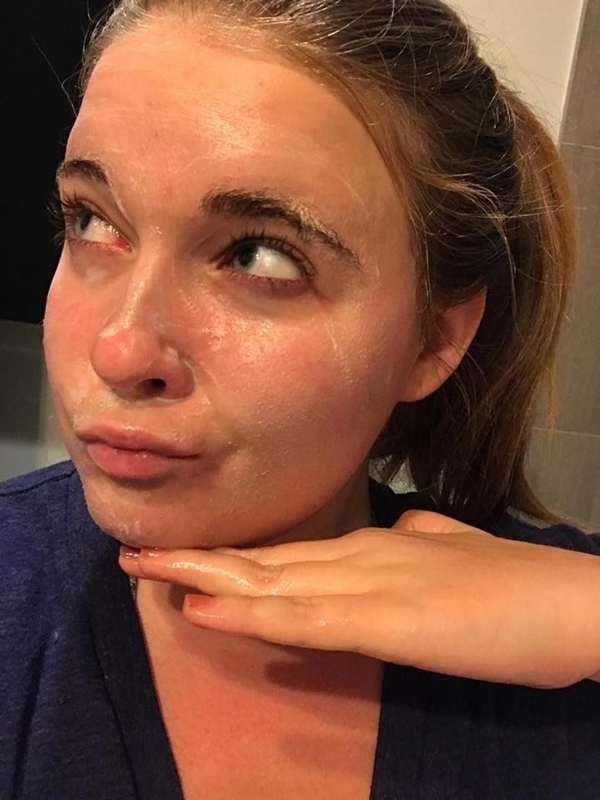 I'll tone after I use a face mask to remove anything the mask left behind. I'll tone on a hot day if I want to feel refreshed. Toner is one of those products that is super loyal and doesn't pretend to be anything other than your best friend. My current favorite toner is Thayers Witch Hazel Toner in lavender. It's alcohol free, and the scent makes me feel like I've just stepped into a spa! It's also super affordable for the amount you get. Most importantly, the natural anti-acne and oil benefits of witch hazel are reason enough to try this guy out! Get a bottle from Amazon for $9.64. Step 4: If acne is popping up I break out Eve Lom's Rescue Mask to save the day. This is an optional step for me and I only use this type of mask when I'm having a breakout. So like, once a week. Because I have oily skin I rarely use hydrating masks because my standard moisturizer does enough hydrating for me! 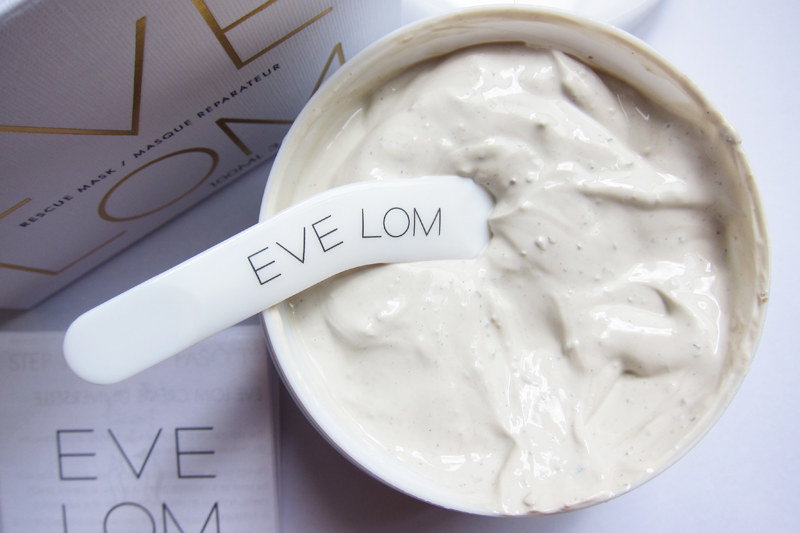 Eve Lom Rescue Mask is my go-to. I use it mostly as a spot treatment, rather than as an "all over my face" mask. This way I'm just targeting the areas that need it and I don't waste any product! I've had post-lip waxing emergencies where I had a crazy lip breakout (I'm getting goosebumps even thinking about it, it was so bad) and I put this on right away and after two nights the breakout was completely gone. What I really love about this mask is that it's super gentle on the skin even though it is working overtime to clear it out. Get a 1.7 ounce bottle from Sephora for $50 or a 3.3 ounce size from Jet for $68.47. Step 5: It's time to tone again, but this time with Belif's Problem Solution for those days I'm breaking out more than usual! 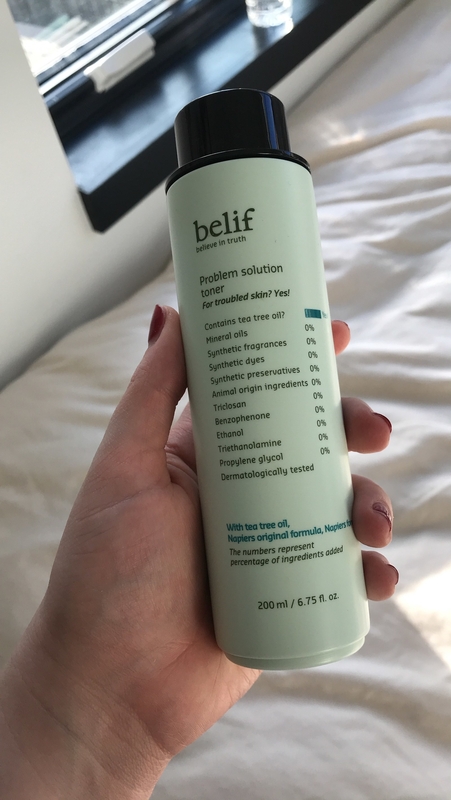 Like I said before, I like to remove any access mask that is left behind with a cotton pad and another favorite toner I've been trying lately, Belif's Problem Solution Toner! If I'm using a mask, that means I'm breaking out so I have started to go in after the mask with this toner, which also attacks acne! Get the toner from Sephora for $28. Step 6: Then I moisturize with Clarins Hydra-Essentiel cream! Honestly, the most enjoyable step — the final step. It's such a great feeling after a long day to be showered, cleansed, toned and then lather on some thirst-quenching moisturizer like my all-time favorite, Clarins Hydra-Essentiel Silky Cream. Get a jar from Sephora for $48 or from Jet for $36.62. also pro tip: you might need to change your moisturizer based on the season! When I used to not have a routine I found it hard to signal to my body when it was time to wind down. Now, after spending 30 minutes focusing on self-care and relaxation, I'm allowing my body the time it needs to decompress from the day. I think there are a lot of mental benefits to a regimented skin care routine. Most of us are going to have breakouts. I personally breakout at least twice a month due to hormones alone. At the end of the day, what we can control, is the time, attention, and love we give to our bodies. Current me, hugging past me, for setting aside time for skin care and self-care!